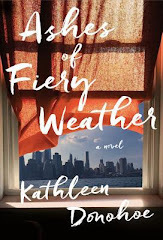 Love women's fiction - especially with women writers. And England! Great pick, thanks for sharing! It sounds intriguing though I have never heard of it.Thanks for sharing. I like how this one sounds... Nice pick, I saw this one already but didn't bother to read the summary before. Now I am interested. :) Thanks for sharing. Thanks so much for hosting this! Love the book you linked. Never heard of it before! Oh, I am so looking forward to this one, too, Jill! This one is a WoW post for me in a few weeks. I am so excited to read it! Nice book you chose! Reminds me a bit of The Help! I'm looking forward to that book too! Love your pick, Jill. Strong women, English cottage--my kind of book! I haven't read Wednesday's Sisters, but have eyed it up before. I hope this one is a good follow up. Happy Wednesday! That sounds really good. Thanks for sharing! This sounds wonderful! Hope you get your hands on it soon! Very nice pick. Kind of looks like a perfect summer read. 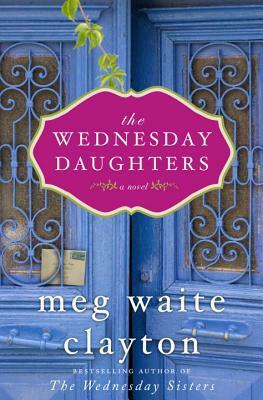 Ooh, I loved The Wednesday Sisters and didn't realize she had a second novel coming out. I will definitely need to pick this one up. Oh, I like the sound of this, and I love that it brings back characters from a previous book. I'll have to check both out! oops -- my entry #284 (Buckling Bookshelves/City of Dark Magic) had the wrong book title -- sorry! Oh, that one is on my shelf - can't wait to read it. This looks so good! Happy Reading! Jonathan and I's blog is here! This is my first time to post. What a fun meme! I love that your book title matches the day! I loved 'The Wednesday Sisters' - I didn't know there was another one. Super excited - thanks for sharing. This will be my first Waiting for Wednesday, and I am very excited! I had accidentally linked my name twice. One under Jessie is not the right one. It's just Jess @ Jess Time To Read. That sounds absolutely gorgeous! Plus it invokes the magical Beatrix Potter - lovely. Happy reading!